Mourad El Kodsi was born in Cairo, Egypt, in 1919. He earned his bachelor's degree in history from the University of Cairo in 1942 and his master's degree in education from the University of Rochester in 1963. 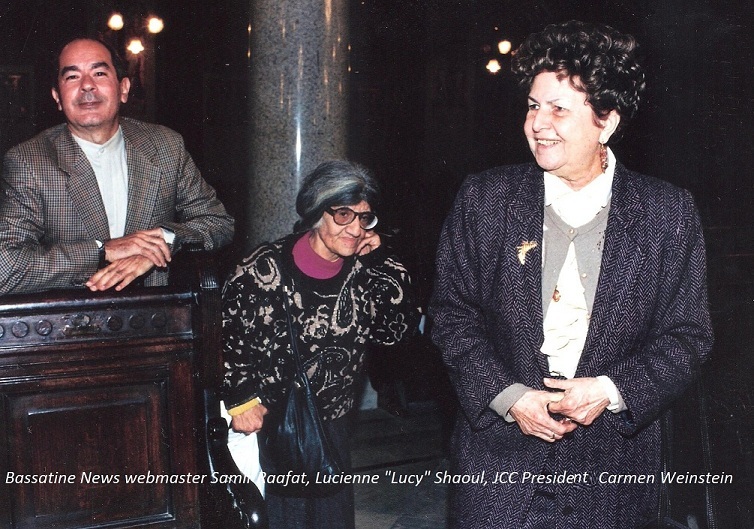 In Cairo he was a teacher and principal in both the Karaite Jewish school system and Les Ecoles de la communite Juives du Caire from 1942 to 1959. In 1959 Kodsi emigrated to the United States. He taught French in Brighton Central Schools, Rochester, New York, and gave Arabic classes at the University of Rochester and St. John Fisher College. He is now retired and continues to research scholarly articles on the Karaite community. Although his book "The Karaites Jews of Egypt" is sold out, copies are available in respected libraries across the United States. On the subject of Bassatine Cemetery, Kodsi refers to an old Arabic-language document dated 15th of Muharram 980 Higriyah (1571 C.E.). 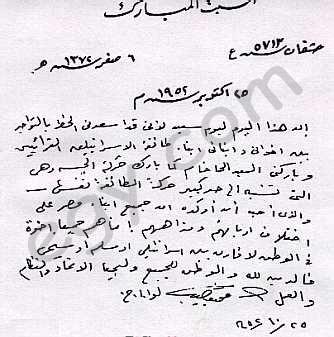 "The Karaite Community of Egypt had this land in al-Wazir in the area of al-bassatin since very long ago and it was in their hands on the basis of an older document." Another prominent member of the Karaite community in the United States (Philadephia) was the late Dr. Barouch "Brooks" Massouda a famous dentist and professor. He arrived alone in the US when he was only 14 years old. 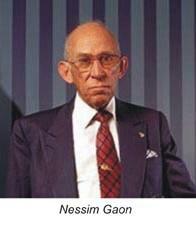 He became a professor in dentistry and and came few times to Egypt to lecture there. Outside the United States there are the following Karaite synagogues: Moshe al-Dar'i in Abbassieh, Cairo; the oldest synagogue of the Karaites in Old Jerusalem; a synagogue in Istanbul below ground level. "There are also Karaite communities in Troki, Lithuania and Warsaw, Poland; and a Karaite Synagogue in Daly City, California, near San Francisco," says David Hirsch, librarian at UCLA. The last Karaite hakkam al-Akbar-grand Rabbi in Cairo was Tobiah Levi Babovitch (born in Crimea, according to UCLA's David Hirsch). It was Tobiah who played host to Egypt's first president, General Mohammed Naguib, when he visited the Karaite synagogue in Abassia "Moshe El Dar'i" on 25 October 1952. The president was met at the synagogue's main entrance by community elders Leito Baroukh, David Zaki Lichaa, Tewfik Eliahou El Gazzar, Farag Aslan, Jacques Leito Marzouk, Murad El Kodsi, Ibrahim Daoud Hosni and engineer Moussa Mourad Marzouk. This is indeed a happy day, as I was lucky to be among my brothers and children, members of the Jewish Karaite Community. His Excellency the Hakham blessed me as he blessed the Army movement which is similar to a great extent to the Karait movement. I would like to emphasize that all the children of Egypt are brothers regardless of their religion or faith, there is no difference between Jews, Muslims or Christians. Religion is for God. The nation is for all. Long live Unity, Discipline and Action. Source: Mourad El Kodsi's book. Robert Nahman is survived by a brother in Canada and several nieces and nephews in Italy and other parts of the world. The name 'Chaar Hachamaim" although the synagogue's' official name, was hardly ever used except after the 1960s. It was simply known as "Le Temple Ismailieh" a French appelation which referred directly to its location. The synagogue, completed in 1903-4 with the help of public subscription stood at the epicenter of the new European district of Ismailia named in honor of Khedive Ismail Pasha who founded the district. Among Ismailieh's first inhabitants were the cream of the Jewish elite during the reigns of Ismails son and grandson Khedives Tewfik and Abbas. It is interesting to note that diagonally opposite the back of the Synagogue was the home of a major benefactor, Nessim Mosseri(26th of July ex-Fouad Street). the Mosseri house was later turned into Egypt's first Modern Art museum. 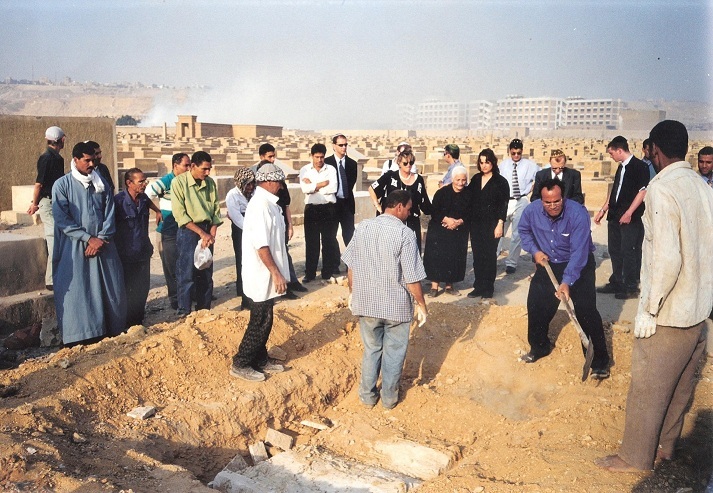 Not far from the Synagogue were the homes, offices, department stores and combined office-residential buildings belonging to Egypt's leading Jewish merchants, bankers, financiers and traders. These included the Suares immeubles de rapport on and off Midan Suares (renamed Mustafa Kamel in the 1930s); Levi de Benzion building off Kasr El Nil Street right behind the Bourse; the Mansour & Ades and the Moise Levy buildings on Abou el Sebaa Street; the Rofe, Toledano and Moise Green buildings on 26 of July Street; the Coronel buildings on Cherif Pasha Street opposite the National Bank of Egypt; the Chalom-Levi and Cattaui villas on Cherifein Street; the Arbib, Kabli and Calcutta Buidlings on Adly Street; the Sapriel, Canneri, Weiser buildigs off Midan Tewfik. Evidently there were the department stores: Chemla, Cicurel, Benzion, Orosdi-Back, Chalons, Rivoli, Daoud Ades, etc. In the late 1940s Temple Ismailieh was gradually referred to by younger members of the congregation as the "Adly Synagogue." The street on which the temple stood had recently been renamed Adly Yegen Pasha instead of Maghrabi Street. Eventually the "Yegen" and then the "Pasha" were dropped from the name of Egypt's former prime minsiter. 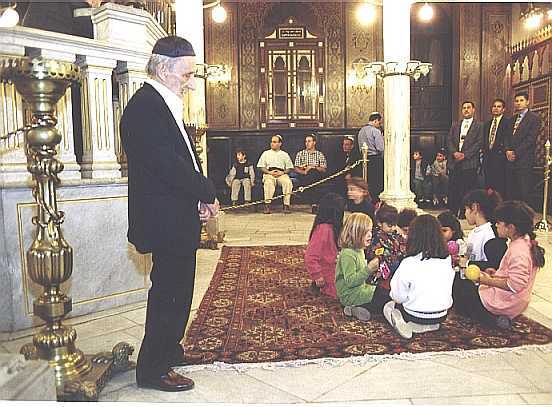 Weddings at Adly Synagogue always took place on Sunday when the entire building was drowned in flowers especially if the celebrations concerned a daughter or son of a local Jewish grandee. Bride and groom recieved the long line of well-wishers at the sale des fetes (the annex reception hall) before the traditional nuptial ride in a horse-drawn coach around the island of Zamalek. Which person mentioned below was lawyer to King Fouad and which one to King Farouk? Which performing art (directing, acting, composing, singing) were the following Egyptian-born Jews involved in? Answers posted next BN issue. The synagogue of Mahala al Kubra aka Ibrahim al-Amshati (a sage from the Middle Ages) could be restored in the not so distant future. If anybody out there has a picture of the synagogue, please e-mail or send ASAP for the benefit of restorer/architect. Mahala Al Kubra (sometimes spelt Kobra), situated halfway between Alexandria and Damietta was the site of a flourishing Jewish community under the Fatimids. Benjamin of Tudela, the 12th-century traveler, relates that he found 500 Jews living there. Documents written in Mahala during the 12th and early 13th centuries were found in the Cairo Genizah early this century. The Jews of Mahala were engaged in handicrafts and commerce, such as the silk trade. According to a takkanah, in 1187 R. Perahyah b. Joseph was dayan in Mahala. Joseph Sambari, the 17th-century Egyptian chronicler, mentions the Sefer Torah in the synagogue of Mahala, which was read only on the New Moon and on which people took the oath. According to popular tradition, the tomb of Hayyim ibn al-Amshati is situated under the synagogue and pilgrimages were held there every year on the first day of Iyar when visitors would travel to Mahala Al Kubra temple (around the beginning of May or 15 days after Pessah). Celebrations lasted three days and nights. "Baghdad of Aladdin's Lamp and a Thousand and One Nights. This is the magical city where I spent the first three years of my life. A city watered and freshened by two warbling rivers and where 'Gan Eden' is believed to be. "Then Cairo became my home. Cairo with its Sphinx and its Pyramids. With its ancient synagogues which smelled of wisdom and traditions, its crooked streets where Joseph, Jacob and Maimonides walked, and its river Nile that whispered the names of Moses, Pharoah, and the People of Israel. "What throbbing memories I have of my childhood! Of the homes where I lived, the many friends with whom I played, and the delicious food I ate. With every step I took, the Bible came to life. And history, too. Even now, after so many years, I can close my eyes and find myself 7000 miles away from here, reliving and visiting my rich and enchanting past. "Yes. Just like a powerful wave hitting me and rolling me around, fiery memories fill and stir my soul. I remember so well! I remember Shabbat in my father's court. I remember how he spent all day Thursday shopping for the chicken, the meat, all the fruits and vegetables we needed. Even the flowers. And my Mother! Complete joy was hers as she spent all day Friday cooking and tasting, tasting and cooking. "What a colorful picture I have of my mother's kitchen! So vivid and pulsating with life. Especially at Purim-time, when it was as busy as a humming beehive. Everybody was working. Some were grating cheese and beating eggs. Others were grinding nuts, cutting dates or preparing powdered sugar. What mouthwatering aroma floated from the giant baking sheets. Heaven itself could not smell or taste any better. "How time flies! Wasn't it yesterday when at least a minyan came to my parents' home to spend the night? I can still hear their chanting voices as they prayed and discussed till the break of dawn. I can still see the huge trays of food and feel the same burning impatience as I waited for the special doughnuts, grapes and watermelon to be served so that I could say the three different Berakhot. It is Shavuot night, but in my mind Pesach and Shavuot are holding hands and walking together in a time that has no end. "I remember the Sukkah we built together with palm fronds as green as freshly-watered grass. It was such a joy to sit, eat, and sleep in it while the stars shone peacefully between the leaves. Strange things seemed to float into us and make us intoxicated with the wonderful fact of being alive. "Suddenly I stop dreaming of the past and start thinking of the present and future. We brought with us our memories and our traditions which we share with all of you. And even though, sometimes, they are slightly different, they have the same beauty and the same emotional impact, always and everywhere. We also brought with us our own children and recently, with the birth of our first granddaughter, Erika Tamar, a new generation has just started. May she, as well as all other children, be so blessed as to be able to enjoy and treasure the precious gifts of heaven, family, and traditions.